Creative Imaginations Loolah Artist Trading Card Pack. 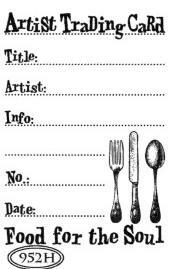 Use these cards to create ATC sized mini materpieces! 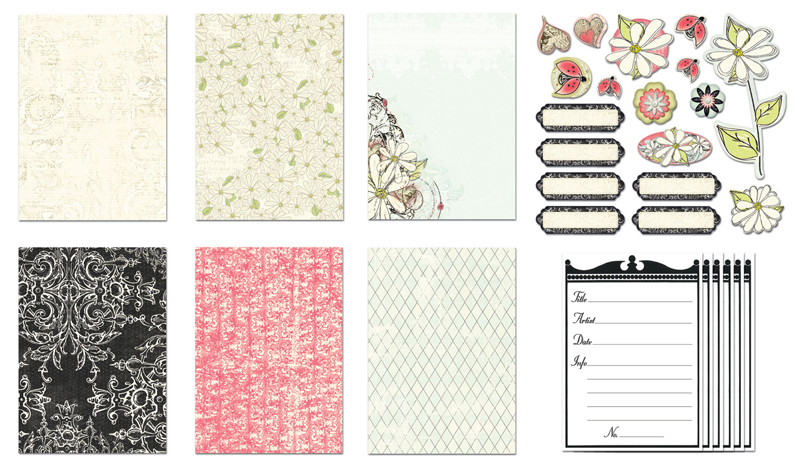 Personalize these beautifully printed cards with coordinating products to trade with other artists. 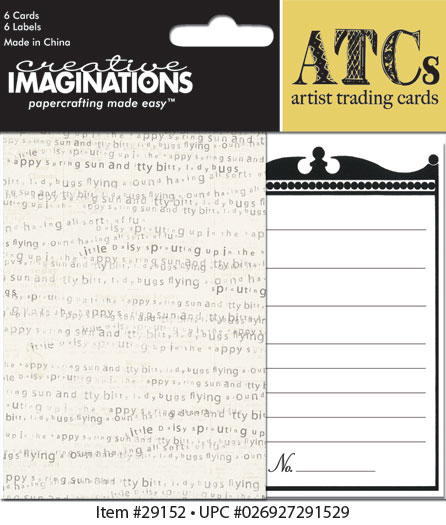 Each Creative Imaginations ATC card package contains six identical heavy stock patterned paper Artist Trading Cards and six information labels for the backs of your ATC cards. Great ATC cards to use along with the Loolah Diecut shapes.